Quarter scallops into four bite-size pieces and dust with Old Bay seasoning. Lay strips of bacon on a baking sheet lined with parchment paper. Brush the top of the bacon with BBQ sauce and sprinkle with pepper. Starting from one end of the bacon, wrap the scallop pieces one time around with the bacon and snip the bacon with kitchen scissors so that the ends of the bacon slightly overlap. Secure the bacon together with half of a toothpick. When you’re ready so serve the scallops, turn the oven to medium broil and broil the scallops on the top rack for 8-10 minutes until the bacon is cooked. Transfer the scallops to a platter drizzled with more BBQ sauce and serve to your friends! Note: You can make the scallops a day ahead and keep them covered in the fridge until party time. My Sous Chef, Pete, helps me plate the scallops during my first cooking class as a Chef at Culinaria Cooking School! Once you pop (the first one in your mouth), the fun won't stop! *Hangry District Tip: Make sure to cover the toothpick in some BBQ sauce so it doesn't catch fire. 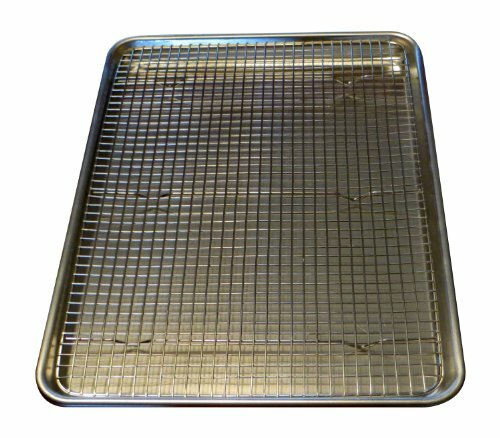 **Hangry District Tip: If you don't have a rack for your baking sheet, don't worry - just be sure to drain the fat off of the scallops onto a paper towel lined plate before you serve them!